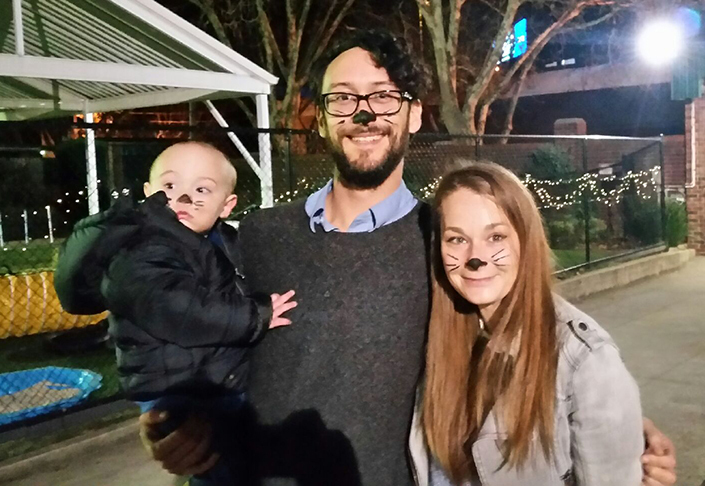 Last night, Melbourne families braved the winter chill to join us for the Home’s Purr Agent cat and kitten adoption evening. Little did they know they were about to help achieve something incredible. For the first time, an adoption event saw all cats and kittens adopted. 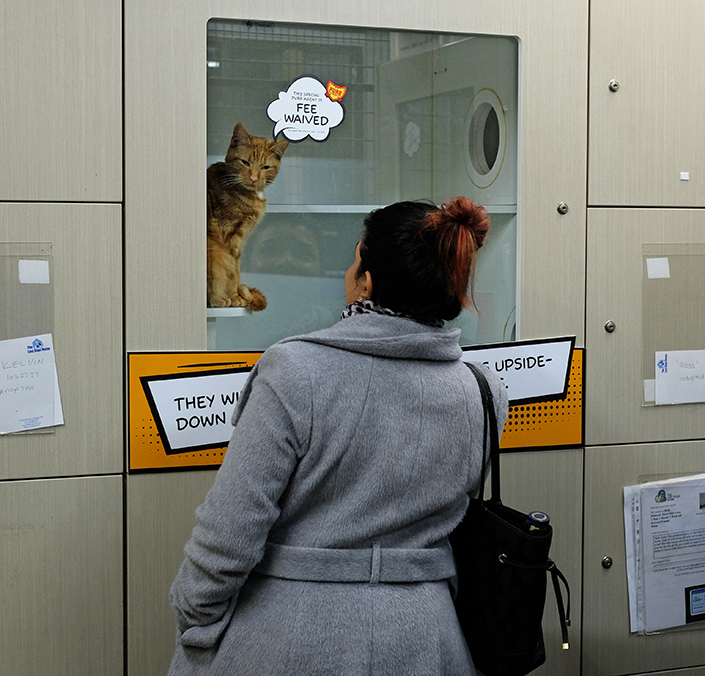 Only three hours in to our Purr Agent cat and kitten adoption evening, every condo in our adoption centre was empty. 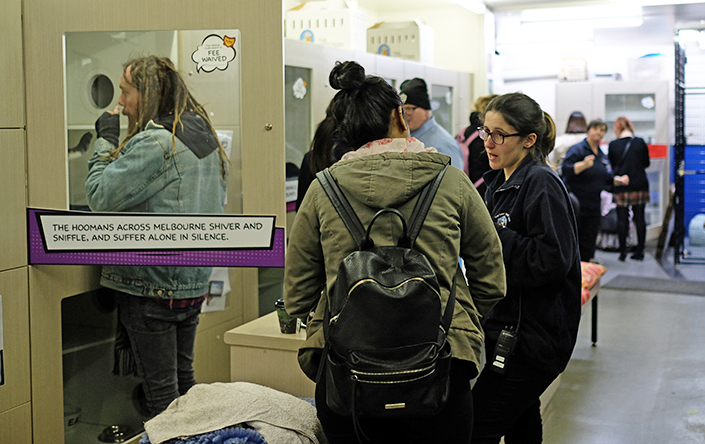 It was an unprecedented day for cat and kitten adoptions, with 66 felines finding new homes. 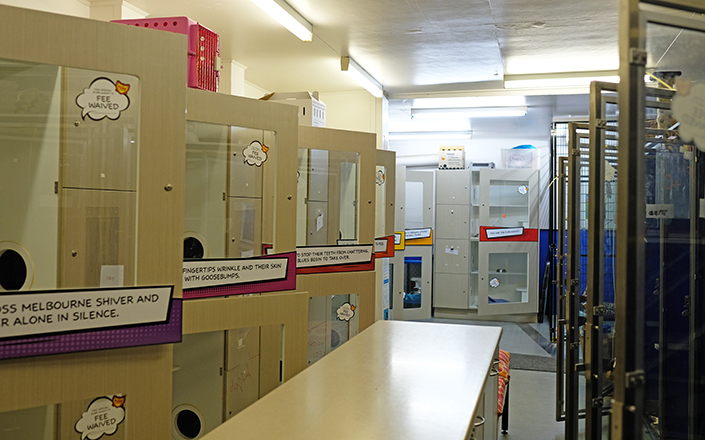 “Elation is the best word to describe how the Home’s staff and volunteers felt at the end of the night when all the condos in the adoption centre were empty,” said Ben Pocock, general manager of shelter and outreach services at the Home. Guests came dressed up and with their faces painted, which was fantastic to see. While they waited to meet the Purr Agents, they got to enjoy warm winter treats from Wheelys Melbourne, take happy snaps with our special agent photo props, win prize giveaways, and learn about cat enrichment. “Understanding and patience from our visitors waiting their turn was very much appreciated and made the whole night enjoyable for everybody, including the Purr Agents,” said Ben. 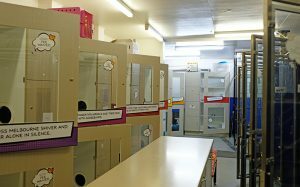 As always, our adoptions and cattery teams worked hard to ensure cats and kittens were matched with the right homes. Thank you to everyone who opened their heart and home to a shelter cat or kitten. Many families made time in their school holidays to come along, and people also stopped by after work,” said Ben. “Thank you also to the many people who arrived after the last cat was adopted, which may have been disappointing on one hand, but was super-exciting on the other hand. Until 31 July 2017, there’s no fee to adopt a cat and it’s half price to adopt a kitten. Find your Purr Agent here or meet them at the Purr Agent Headquarters.